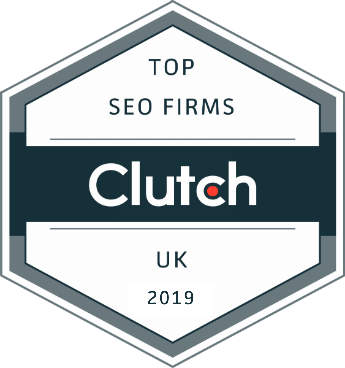 We’re excited to announce that The SEO Works has been named as the Best SEO Company in the UK by Clutch. Similar to “Which” but for businesses, Clutch is a data-driven field guide for B2B buying and hiring decisions. It ranks companies based on a defined set of criteria, including market presence, service focus, and reviews from past clients. Clutch helps buyers find the best-fit agencies and consultancies for their next big project. For any company looking to improve their business’ online visibility and performance, being number 1 on Clutch should be a strong indicator that The SEO Works is the best fit company for you. Clutch takes its reviews collection process seriously, conducting phone interviews with a company’s past and current clients to get honest feedback about the quality of a company’s work. Additionally, we have also been ranked as one of the best PPC agencies in London by business guide The Manifest. We have been featured for the breadth and depth of our advertising experience, as well as a project we did with a pharmaceutical company, helping them to increase their growth by 50-60% through innovative marketing strategies. In general, as a certified Google Partner specialist and Bing Ads accredited professionals, we always deliver expert and up to date strategies for our clients. And in a another fantastic acknowledgement, we’ve been listed as a Top 25 Integrated Marketing Agency by DesignRush. Overall, we’re honored to be rated as The Best SEO company in the UK. We do everything we can to help our clients succeed, and knowing that they appreciate our work is incredibly validating for our team. Our mission is to get you more customers online, and we will continue to improve and innovate, making sure our clients are ahead of the curve in their respective industries. Need help with your online visibility and performance? Contact us today.